Even experienced salespeople may not have the best phone skills. The magic they perform in person may not directly translate into productive calls. As a result, they need training and feedback to up their performance. 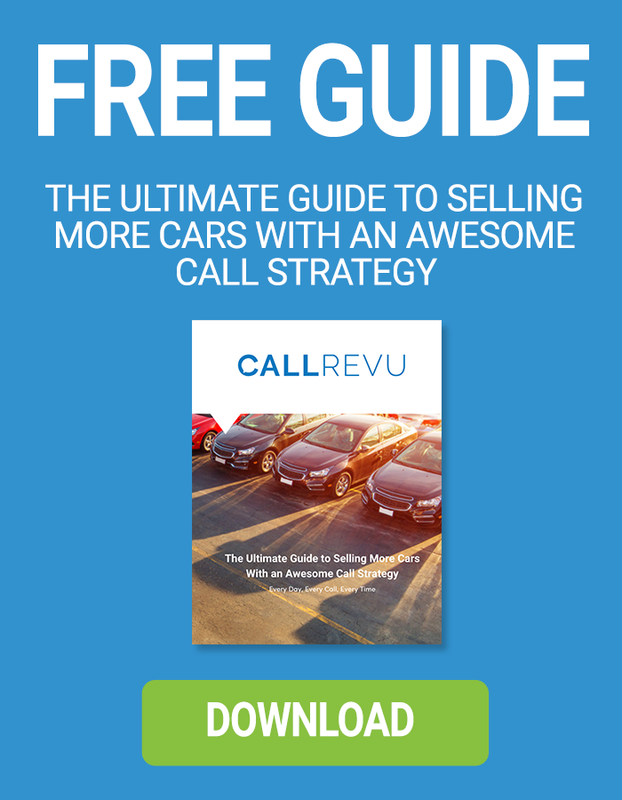 Call data captured by the CallRevu Action dashboard can provide needed insight into your sales team's phone skills, a vital component of your dealership's success. By capturing a "snapshot" of each call, you can find out where your team excels and where they are lacking, losing sales in the process. A phone system dashboard can provide your staff with the tools they need to improve their methods and increase customer satisfaction. The CallRevu system allows calls to be monitored in real-time and/or reviewed afterward. In about 10 minutes, you can check out and act on your appointments set, all appointment opportunities, customers that have a CSI issue, those calls that didn't reach the intended employee, calls where the customer contact information was not obtained, and today's upcoming appointments. You can read a transcription of the calls, look for key performance indicators (KPI), and then provide helpful feedback to your staff. For instance, you can verify that the salesperson has called back the client, set an appointment, stuck to your dealership's phone processes, delivered the correct information, etc. When mistakes are made, you have the chance to correct them and still make a sale quickly. Since trained human agents listen to a dealership's calls, CallRevu identifies missed opportunities and sends you an alert to your phone and/or email, allowing you to take corrective action quickly. Unfortunately, clients may be put on hold so long that they hang up. Sometimes your salesperson inadvertently hangs up on the caller or gives them the wrong information. Sometimes the requested agent or department is not available for a phone call. The alert allows you to call the potential client back before they have a chance to contact another dealership, allowing you to potentially save a sale. You will improve your sales staff's performance when you implement a system such as CallRevu. Many sales are lost through simple phone mistakes, such as delivering the wrong information or inadvertently dropping a call. When your staff's sales calls are monitored, potential clients do not fall through the cracks. Also, your team gets effective remediation if their skills are lacking. They go on to close more sales and create loyal customers. Investing in a professional phone monitoring system leads to happy owners, salespeople, and customers.